Man, the last month has been crazy. I have had so much work because I have been promoting my first big event, which was held here in Copenhagen May 5th. I am sorry for not posting here, but I simply haven't had the time. I even had to skip training in the weeks up to the event (and then you know I am not lying about being busy :-D). 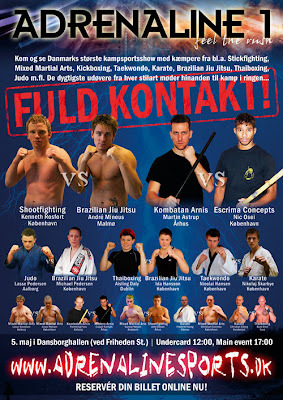 You can check out the event on www.adrenalinesports.dk. I have been rolling a little the last month and the project 1000 flighthours is halfway to the first 50 hours. I can see that I have improved immensely since I started the project, but I will wait with the evaluation untill I have reached 50 hours of rolltime. Okay dude.. I'll forgive you for the posting-issue :) Glad to hear it went well for you guys with the show..